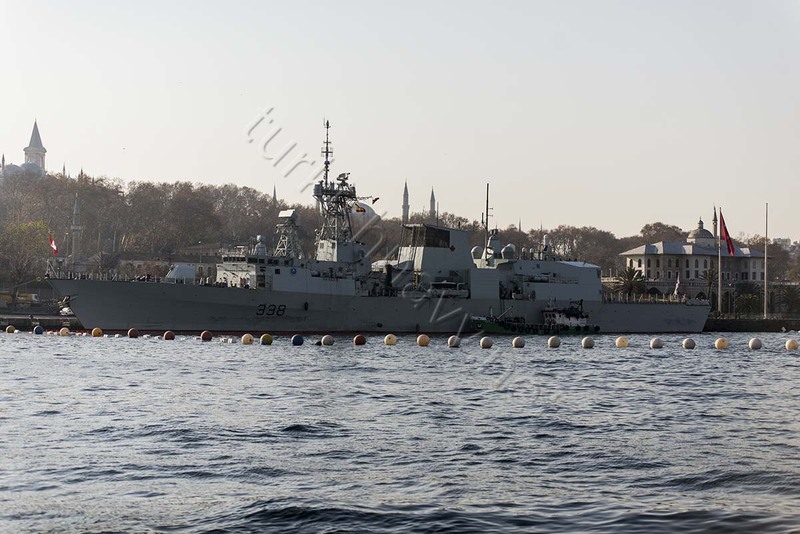 Interestingly only the Canadian frigate has a floating barrier as a protection against small boats. 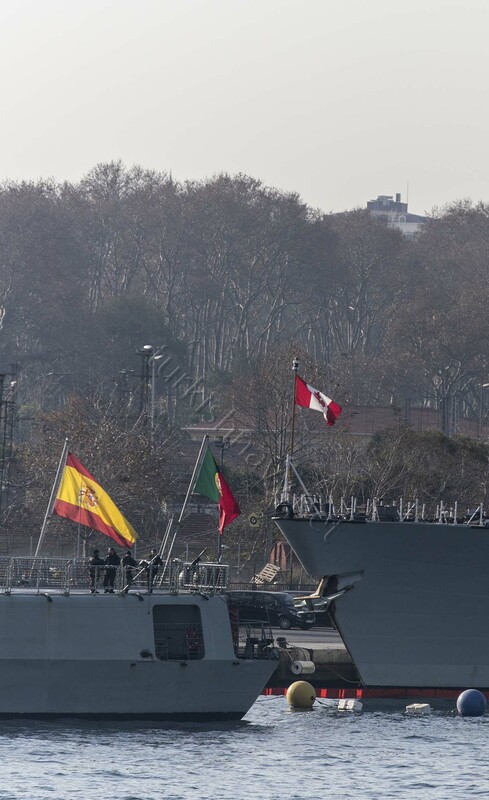 Are the Spaniards and the Portuguese expendable or is there a specific thread against Canadian warship? 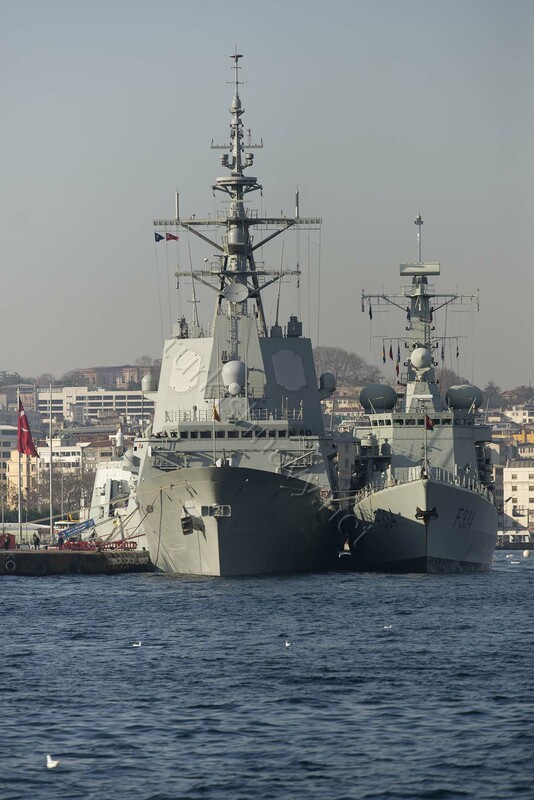 The Spanish frigate ESPS Blas De Lezo inside the flagship of SNMG-1 NRP Francisco de Almeida. This is a very lonely Buffalo very far away from home. 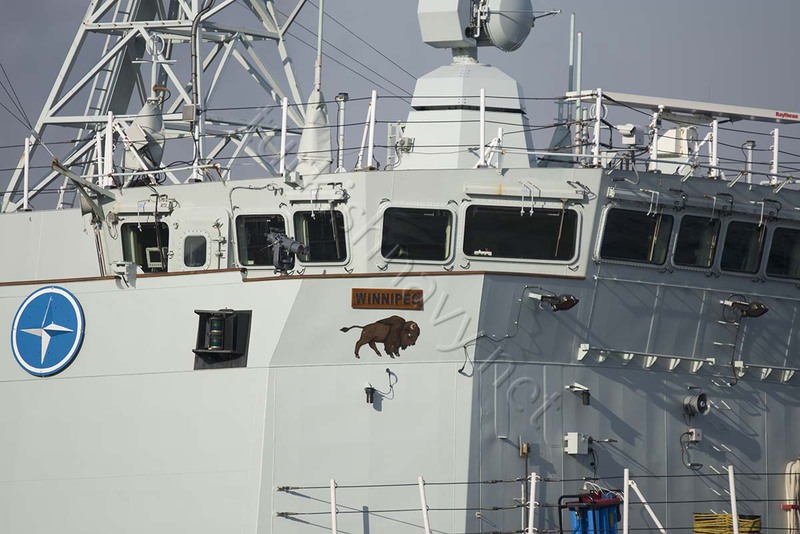 HMAC Winnipeg has her legacy SPS-49 radar replaced with modern SMART Mk2 3D radar during The Halifax Class Modernisation/Frigate Life Extension (FELEX) programme. 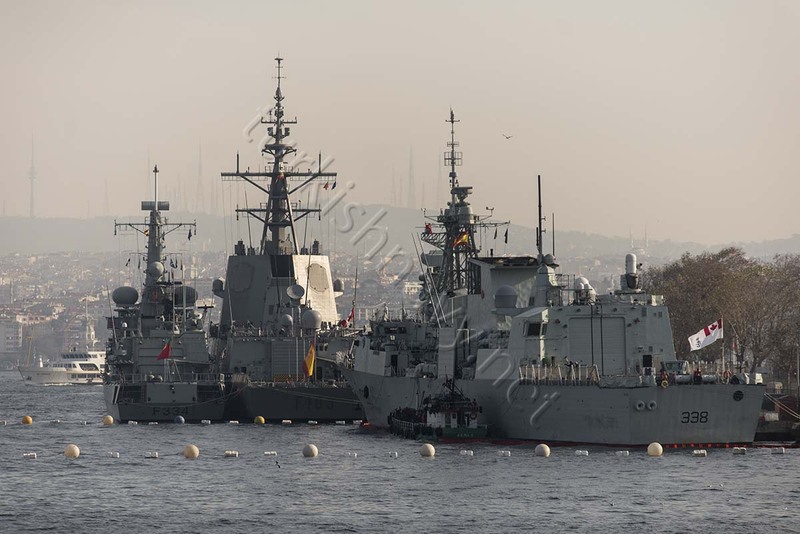 The Spanish frigate ESPS Blas De Lezo inside the flagship of SNMG-1 NRP Francisco de Almeida. The difference of their sizes is very obvious in this photo. 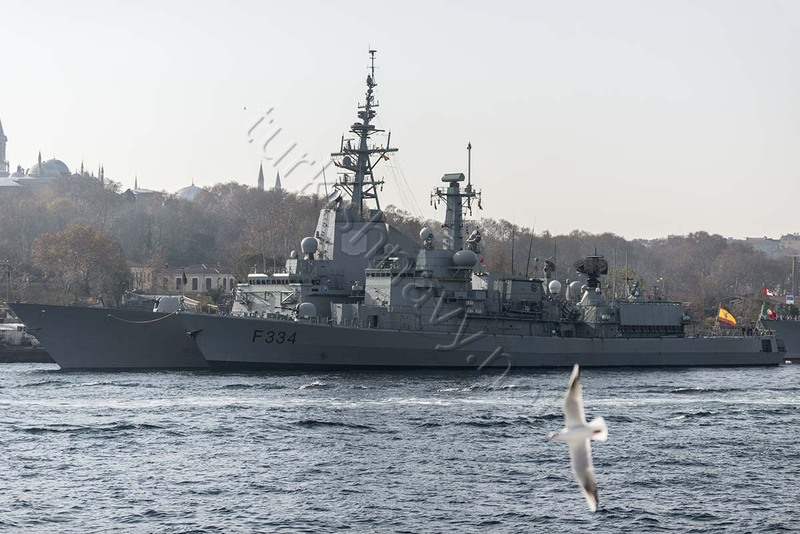 Since 3 December 2015 the three ship strong NATO Standing Naval Group One is in Istanbul.Today I had the opportunity to go near to the ships and take some more photos. These barriers are routine for the USN and HMCS. Thank you for the information. In my opinion the barrier could have been exted to cover the other two ships.